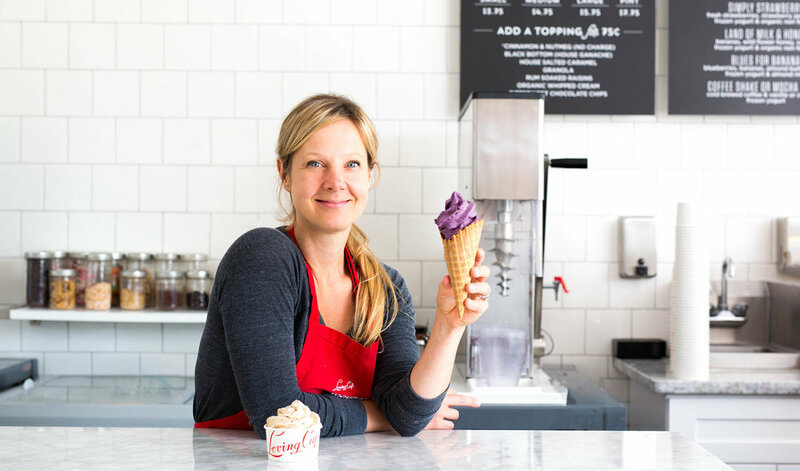 Loving Cup was founded by Liz Hawrylo Fiedler and her mom Sandy Hawrylo in 2008 in San Francisco’s Russian Hill neighborhood. Serving hand churned made to order frozen yogurt and delicious house made rice pudding, Loving Cup is a place where people can find comforting, delicious, wholesome, and healthful treats. From the start, and as we continue to grow, we’ve always held taste and quality paramount. We are committed to using the finest quality ingredients in our frozen yogurt and rice pudding and will stay true to this as we grow. We are thankful to the neighborhoods and the communities that we serve and we look forward to continuing our journey and sharing our frozen yogurt dreams with more people everywhere!